Epigenetics: we are given the building blocks by our parents, but you can decide how to use them. Rearrange them by changing what you eat and how you exercise. And a study on mice shows that the building blocks can be changed by your parents diet and lifestyle. 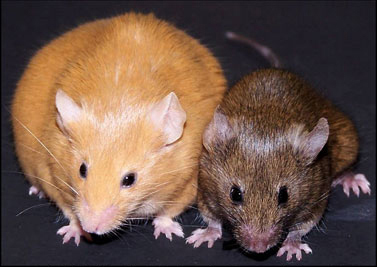 “…two groups of mice gave birth to sets of identical babies carrying the same genes. The babies were raised the same way from birth. They should have looked alike but instead, they barely looked related. In the first group, the babies were overweight, prone to diabetes and cancer and covered in fur the color of rancid butter. The mice in the second group were beautiful: lean, healthy, brown. Same nature, same nurture, radically different outcomes. What was going on in there? Here’s a great summary with a host of other examples of epigenetics from things like how starvation and gastric bypass effects children and grandchildren of the discontented. Nature vs. nurture? Now there’s a third option. Diet and the environment of the parents and possibly even grandparents. Thoughts or comments? Post them below.